The Tracewell T-Flex is ideal for military and commercial programs that require the capabilities of IBM PureFlex in a small or rugged form factor. The T-Flex family enables users to deploy the same hardware and software solutions used in their back offices in a wide variety of mission environments. These systems are designed to manage data intensive applications including radar, data mining and analytics, to advanced systems networking, security and cloud computing. The Tracewell T-Flex accepts all the standard nodes of a PureFlex system—if a node works in an IBM Flex System, it will work in a Tracewell system. 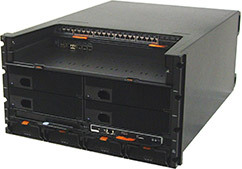 The T-Flex product line can be easily updated as the latest compute nodes, storage products and system networking technologies become available from IBM. This provides customers the greatest performance advances possible, with a solid technology foundation and roadmap. The T-Flex can integrate other specialty technologies to deliver the most advanced applications wherever they need them to go. 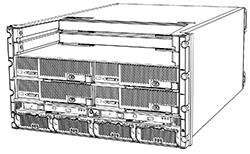 The first T-Flex units will feature 4 and 8 node slot configurations, and become generally available beginning October 2013. To learn how T-Flex can meet your mission or program requirements, and to see a prototype, schedule a briefing at the Tracewell Advanced Technology Lab. For demanding environments with size, weight and power constraints, such as aircraft and shipboard installations, as well as shielded transit case systems. Ideal for development and co-location with other commercial equipment. 4 power supplies for 4 and 8 node systems. Trying to solve a challenging mission problem? Let us help you engineer success. Creating a proposal or presentation? Download this datasheet for more information.